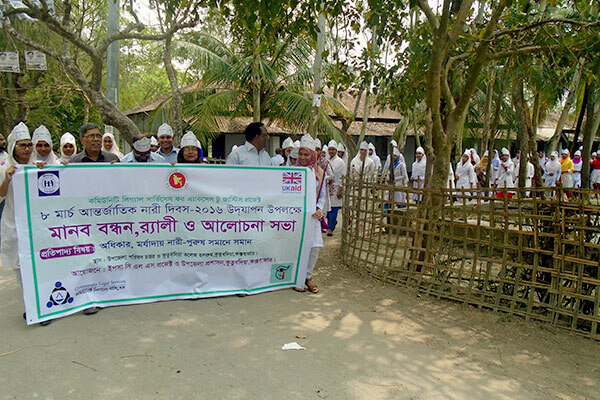 BLAST-YPSA Consortium organized human chain, rally and discussion meeting at different sub-districts under Chittagong division including Ramu, Rangunia, Moheshkhali, Sandwip, Kutubdia and Fatikchari on March 8 to mark the International Women’s Day 2016 with the theme ‘Planet 50-50 by 2030: Step It Up for Gender Equality’. These programs were arranged under the project “Community Legal Services (CLS)” supported by Maxwell Stamp PLC and CLS. 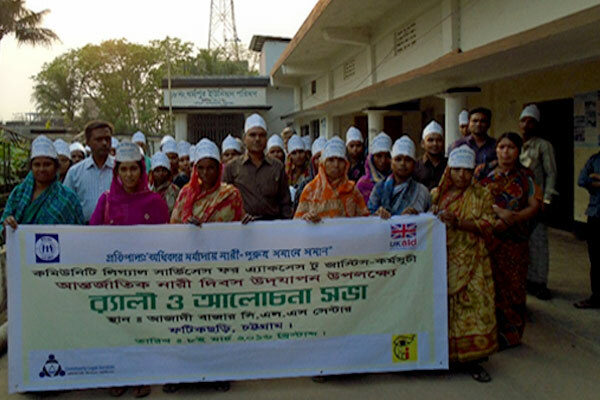 Fatikchari Upazila Administration, Department of Women Affairs and Blast-YPSA consortium jointly observed International Women’s Day 2016. Discussion meeting was held at the Freedom Fighter Jahurul Hoq Premises and a rally was started from Azadi Bazar CLS center. Upazila Chairman M. Tawhidul Alam Babu was present as chief guest in the discussion meeting. 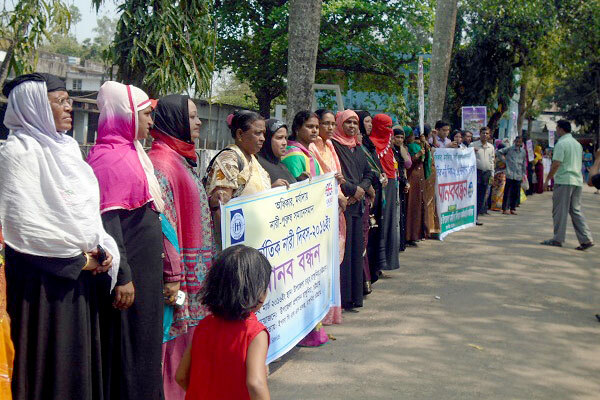 Human chain and discussion meeting were held at the office of Upazila Women Affairs of Sandwip. Upazila Nirbahi Officer Md. 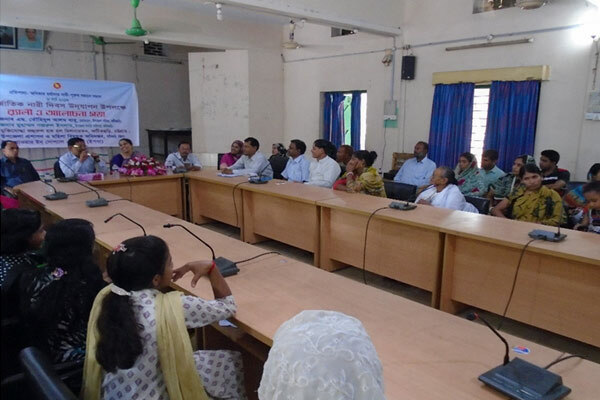 Saiful Islam was present as chief guest while Family Planning Officer Dr. Fazlul Karim presided over the meeting. Md. 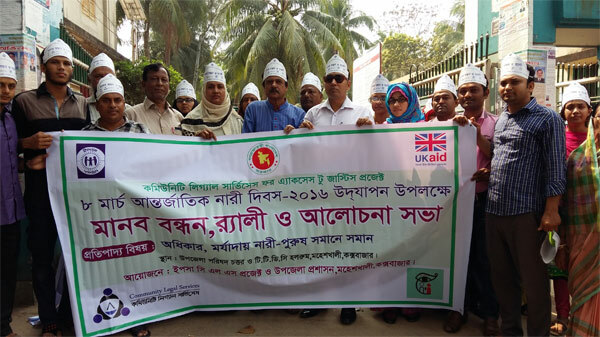 Mainuddin, Upazila Education Officer; Shamsuddin, Manager of Nari Progoti Shanggo; Josna Begum from SDI, Suraia Begum, Member of Upazila Parishad delivered their speech in the meeting. 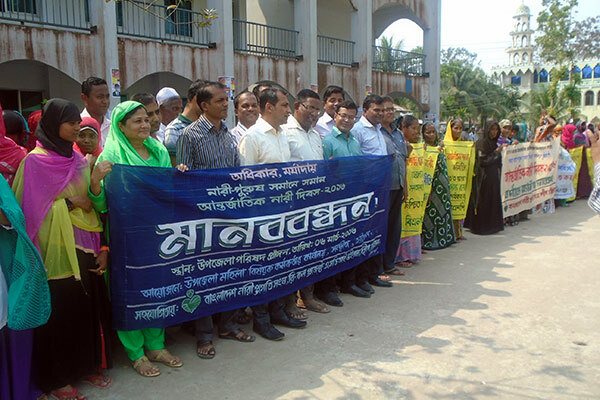 Moheshkhali Upazila Office, Upazila Administration and BLAST-YPSA Consortium jointly organized Human chain, rally and discussion meeting to mark the day. Member of Parliament Md. Ashek Ullah Rafiq was present as chief guest while Upazila Nirbahi Officer Mohammad Abul Kalam Azad presided over the program. About five hundred people including different NGOs, government officers, civil society representatives participated in the programs. 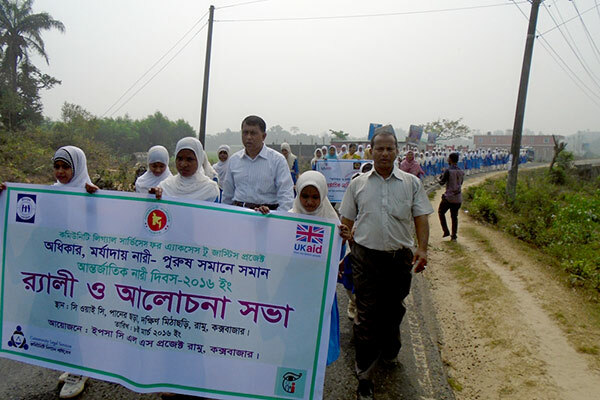 A rally was organized at Rangunia to mark the day which was led by Upazila Nirbahi Officer Saiful Islam Mazumder. 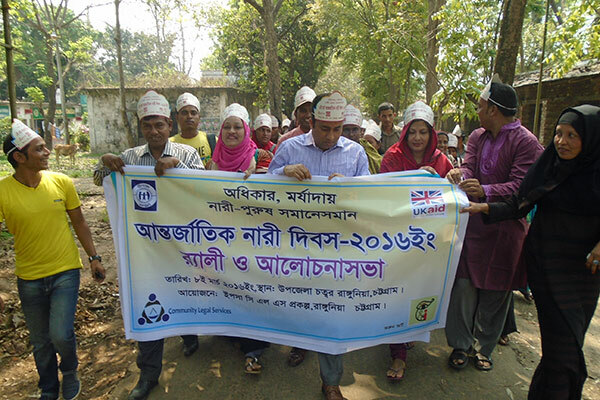 People from all walk of life including Women Affairs Officer of Rangunia Upazila Sonia Shafi, members of Union Parishad, government officials, NOGs and civil society participated in the rally. A discussion meeting was held following the rally at the UNO office. Upazila Chairman Ali Shah was present as chief guest wile UNO Saiful Islam Mazumder presided over the meeting.